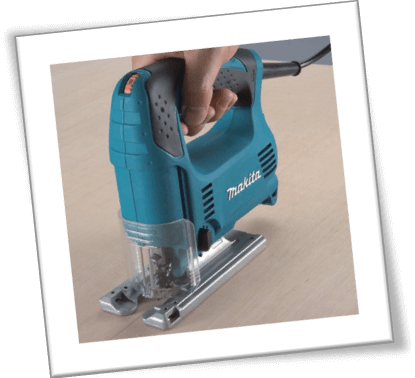 Makita 4329K 3.9 Amp Jigsaw Review – Is It Worth Buying? Don't Feel Like Reading The Full Review? 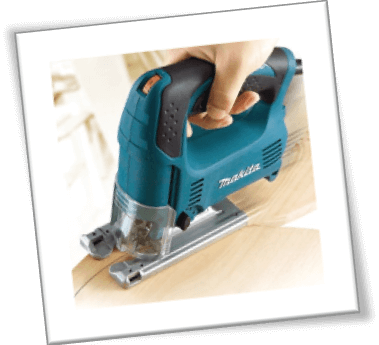 Here's A Summary Of The Makita Jigsaw Review. This Makita jigsaw comes with 3 orbital power settings for a versatile user experience, a rubberized handle and a safety lock. A tool case and detailed instruction manual are included with this Makita 4329 model at a very affordable price setting for your basic woodworking tasks. As a woodworker and a part time power tool reviewer, I try to remain impartial towards any product worth reviewing. Makita always had a special place in my heart until they released the Makita 4329K 3.9 Amp Jigsaw. Sadly, it is one of those jigsaws that you would love to use, but deep down inside, there’s an evil voice telling you to look elsewhere. Why Write This Review Then? 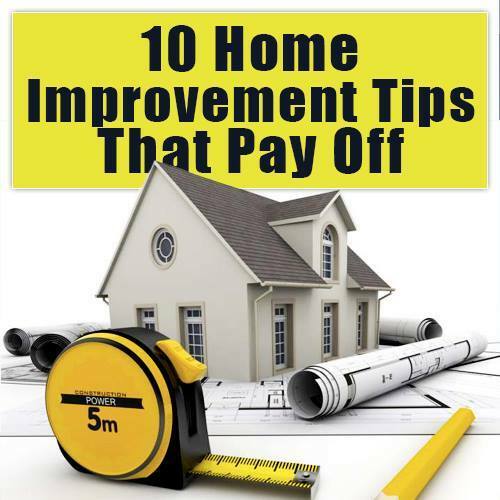 You are an entry-level woodworker who wants to learn a thing or two about DIY projects. 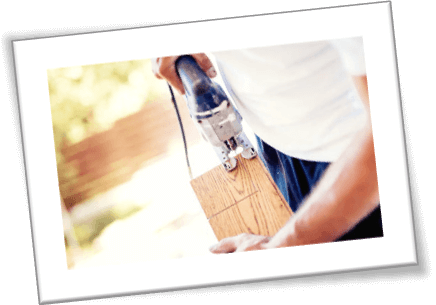 You are a budget conscious power tool user. Quality and results do not matter to you that much as long as the product is cheap! You are a newbie and stumbled upon the Makita 4329K model by accident. In this case, I’d want you to go through our other online jigsaw reviews and do a little bit of research before buying this product. To create awareness among potential buyers – admittedly that’s one of the lingering motivations behind this review. I sincerely don’t want to bad mouth Makita, and if one of your company employees is reading this review, please don’t take any offense. This model comes off as an affordable addition to the company’s jigsaws lineup. It’s price is somewhere around $70 - $80, which is safe for potential users who have a dedicated disposable savings bracket in their income. Should you find your beloved Makita 4329K 3.9 Amp Jigsaw broken to pieces, or not working for any reason, the loss of $70 - $80 should be nothing to lament about. Perhaps it is one of the reasons as to why so many Makita power tool loyalist took over the internet to share their sadistic feedback about this Makita jig saw. It works well as long as it lasts, but don’t expect a lot from this model. Makita 4329K series is a bottom feeder of a power tool with an average 3.9 Ampere motor. It churns out an average blade speed of 500 – 3100 SPM. I am saying “average” because different people had different experiences. If there’s one thing I noticed about this jigsaw, it is that the blade speed will be a lot higher when the material is thin. Since this is a corded electric jigsaw, the question of low battery juice is out of the equation. That’s perhaps one of the good things that Makita added to this power tool. On top of the corded thingy, Makita also introduced an orbital blade setting. The concept was borrowed from Dewalt DCS331M1 model because I reviewed the other jigsaw and it also had an orbital dial. Regardless, Makita 4329K jigsaw outputs a 11/16 inch stroke, where the orbital cut settings help to refine the end user experience. The blade does have its qualms though; at the end of the cut, you need to be careful with the direction of the jigsaw. As a woodworker, I enjoy working on different projects. Some of them are not very large, but different contracts call for different power tools. I like to stick with one-company products if I am working on a range of similar contracts. I also develop a likeness/ dependency for one brand of jigsaws, which kind of makes it hard for me to make the transition to some other stuff. As far as this Makita jigsaw is concerned, it is loud, it is obnoxious and it is dangerous. Mostly for the size of the wood, the cuts bend out of shape as if curved on purpose. I will talk about them later in detail. I figured that to avoid curvier cuts, the jigsaw needs to be operated slowly. If you started at a high orbital blade setting, and you are reaching the end of your cut, you can switch to a lower orbit. Casual users don’t notice it, but the orbital settings is to be taken advantage of. On the same note, you can take advantage of the small motor by mastering Makita 4329K jigsaw movements. It will take a few weeks, but the lightweight motor design allows a high mobility factor. This is a bit of a grey area, but people, who have moved down to using 3 – 4 Amp jigsaws from 9 Amp models, are considerably happy because of ease of use. Sadly, this model does not have an LED bulb or a directional light for that matter. Makita could have added a small LED for guided cuts, but for some reason they abstained from doing so. I see fine because I have strong overhead bulbs installed at my worksite. The dust port does not work well. Some units came with a faulty sawdust port, and there is not an adapter or a workout solution for that. On a personal level, I wouldn’t mind the absence of a dust port or a sawdust blower for that matter. Since I am a seasoned user, I have no issues with cleaning the jigsaw mess afterwards. Another one of those areas where the company could have used a durable material. Seriously Makita? Did you really have to add a diecast base to the Makita 4329K? It’s a power tool; die cast is suitable for toys. C’mon! The only plus side to the diecast base is the increased mobility. You cannot put a lot of pressure on this Makita jigsaw, or it will creak. Be especially careful when you are adjusting the base for bevel cuts. Most of the tang shank style blades are fully compatible with this jigsaw. Makita has thrown in a hex key for easy blade replacement. Compared to the Dewalt DCS331M1 jigsaw that I reviewed earlier a few days ago, Makita does well in that department. You don’t have to keep the blade in straight line in case it needs to be changed. Nothing speaks “CHEAP” than the Makita 4329K jigsaw. It is easily affordable. The through the body dust port style is a nice addition to this power tool. Sometimes it works, sometimes it doesn’t. If your vacuum cleaner is compatible with the attachment port, you can connect the two devices for a thorough experience. Makita introduced a larger than life rubberized handle. Trigger is oversized, and comes with a safety lock. 3 Orbital power setting for a versatile user experience. No LED guide light for assisted cuts. Unstable blade SPM. It varies between 500 – max speed. Most of it is dependent on the quality of the work piece, but some jigsaws come with a constant force technology. This technology is crucial in determining a more stable blade RPM or SPM for that matter. Diecast aluminum shoe is not stable. It will bend if pressure is exerted on the jigsaw. At the end of most cuts, the jigsaw appears to curve out of line. Be mindful of the cut direction. Among all the things that may come as a setback to potential Makita 4329K jigsaw owners, I find the shoe quality to be really poor. I know, I talked about it earlier in this review, but there are a few things that you should know in advance. The shoe is the fundamental part of any jigsaw out there. It has to be sturdy enough to take pressure from both sides – i.e. user and the work piece simultaneously. At the same time, while Makita attempted to keep the shoe’s base rigid and flat, they forgot to bypass the screw tightening mechanism. The screw has to be tightened to set the shoe’s position in the corresponding direction in which a bevel cut has to be made. Lastly, the blade does not align despite of the roller bearings in there. The purpose of the bearings was to keep the blade straight, but these bearings slide back and forth. Hence the blade’s position keeps gyrating by 1/8th of an inch. This defeats the installation of these bearings at the first place. It might be a mechanical fault in select number of Makita 4329K miter saw units, but the company needs to address this issue. Sadly, I will not recommend anyone this Makita jigsaw model. You may be inclined to buy a Porter Cable PCE345 jigsaw within the same price range, but it is equally repulsive. It is better to pony up another hundred bucks and buy a better quality Bosch JS470E power tool instead of dilly-dallying in low priced jigsaw models.